M&S confirmed it would ‘stick with the farm’ and ‘with British farming in general’. Grange Dairy, East Chaldon, Dorset, hit back at the national press which this week targeted the farm for what it called ‘heartbreaking’ scenes. Activists accused owners JF Cobb & Sons of housing calves up to six-months-old in a ‘battery farm for calves’. Nick Cobb, partner of JF Cobb & Sons, said the farm had successfully passed spot audits last week. He said: “I do not need to tell you how disappointing this is for all of us. “As a family farming business, we care passionately about our livestock and all our energy is focused on keeping our cattle comfortable and healthy. Mr Cobb added the firm had been in liaison with M&S and its milk buyer over the matter and there were ‘no concerns’ over animal welfare. In a decision announced today (March 31), M&S promised not to ‘sever [our] ties with this farm’ and not ‘weaken [our] valued links with Britain’s farming community’, despite calls from activists to drops the contract. M&S director of food Andy Adcock said: “We are very clear on this issue. Any calf over the age of eight weeks old should not have been housed in these pens. Mr Adcock confirmed all 40 dairy farms in the M&S milk pool will be audited by RSPCA assured assessors ‘as soon as possible’. He added: “British farming is in a precarious position. “The number of dairy producers in England and Wales has fallen dramatically and yet the UK dairy industry accounts for around 18 per cent of UK agricultural production by value. Responding to the public outcry, AHDB Dairy chairman Gwyn Jones said hutches were seen by experts as one of the best systems of rearing calves. "They comply with all the welfare measures and demands made of dairy farmers in terms of animal well-being and general health, leading to better bio-security and less antibiotic use," he said. "Done well and to a high standard this approach offers the best start to young animals when it comes to excellence in calf rearing, as they provide a warm and safe environment. "It is important to stress the scale of a farm operation is not an issue, its good management practice which is all important, so we continue to produce nutritious, wholesome milk." Dorset County Council Trading Standards also confirmed no welfare standards were broken. 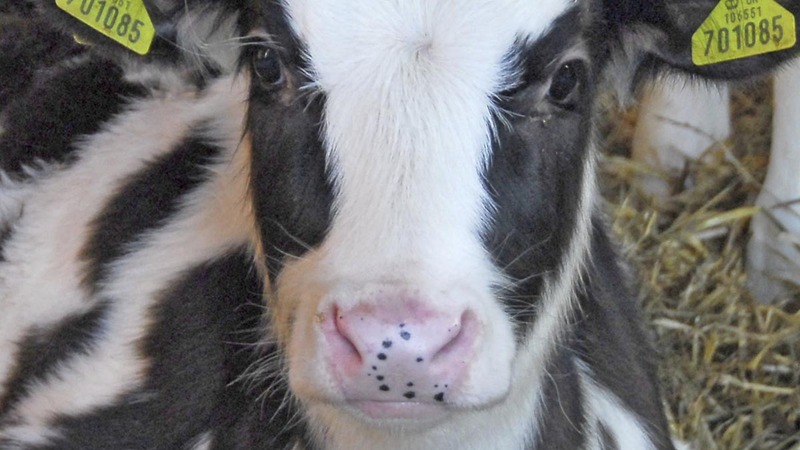 Following the media storm, a dairy farmer in Somerset had over 40 calves let out of their pens. The calves were put at danger of being run over or injured when someone released them during the night from their pens by the roadside. While all the calves were back on the farm with only one injured, Mr Birch said it could have been a lot worse. “This was at 4 o clock in the morning, it would have been worse if it had been later when more people had started moving about,” he said. “I came in in the morning and there was a calf in the road. I thought it had just jumped out,” he said. While the calves released were not in single hutches, Mr Birch said they could be seen from the roadside. While it was unknown who was responsible for releasing the calves, Mr Birch believed it was most likely a reaction to the story. “It strikes me as a bit coincidental,” he said. Mr Birch added animal welfare was fundamental for all of his animals and for dairy farming in general.